Crave the chance to mislay your senses in an artistic maze that challenges everything you may have ever considered normal? Well now you can. Abandon Normal Devices (AND) is the north-west's challenging, exciting festival of new cinema, digital culture and art that occasionally leaves you wondering: am I the viewer or the subject itself? Organisers promise to push back the realms of abnormality even further this year through artists determined to live up to its 2013 theme “making the impossible possible”. A brave boast, since 2012's event brought us weird and wonderful delights such as the world's first bio-engineered football and a drive-in cinema packed with wrecked cars for audiences to sit on. This year's event is staged in Liverpool city centre, with the FACT gallery in the Ropewalks area, just three minutes' walk from Liverpool Central Station, as its hub. AND blends film, art, science and technology across topics such as modern defence strategy and the deployment of special effects. The festival's emphasis is on ideas and criticality which, in turn, accommodate and provoke wider public engagement, conversation and debate. This year's new format brings a week-long ‘atelier’ programme of “training for artists by artists” as a prelude to the main three-day festival of exhibitions, performances, debates and live events from October 3-5. AND Fair promises features projects toying with optical illusions, flying machines, biological probes and computer algorithms. A three-day workshop calls us to question the dilemmas of self-representation online, where we are the art directors shaping our own destinies. Quirky films include From yu to me, a meditation on technology and digital content which explores the rise of the internet against the backcloth of socialism's collapse in Eastern Europe. Sharknado must be cinema history's only B-movie that takes global warming to its logical extreme while bringing us sharks, waterspouts and romance. So who really does have their finger on the internet kill switch? Such a switch is a countermeasure against cybercrime, based on the concept of activating a single shutting-off mechanism for all internet traffic. Access to the Internet was limited only last spring in Tunisia, Egypt, and Libya in a bid to restrict online peer networking that would facilitate self-organisation. Ronnenberg shows off three ways to prepare for the time after a cyber war, providing alternate systems of navigation, data streaming and data storage beyond the control of governmental institutions and corporations. He will be demonstrating the OpenPositioningSystem, Social Teletext Network and Sewer Cloud during the AND Fair. A fascination with cybernetic utopias, science fiction and bionic experiments has led to one of the festival's more interactive experiences. Imagine your eyes where they are not supposed to be and substituted by two detachable handheld cameras. Then you get some idea of EYESECT, a wearable interactive installation that allows users to assess their environment from new points of view. This shatters the world as we perceive it; our sense of reality aligned to binocular and stereoscopic vision of human beings. EYESECT creators The Constitute, described as “transdisciplinary laboratory for interactive public experiences”, will be demonstrating their device. 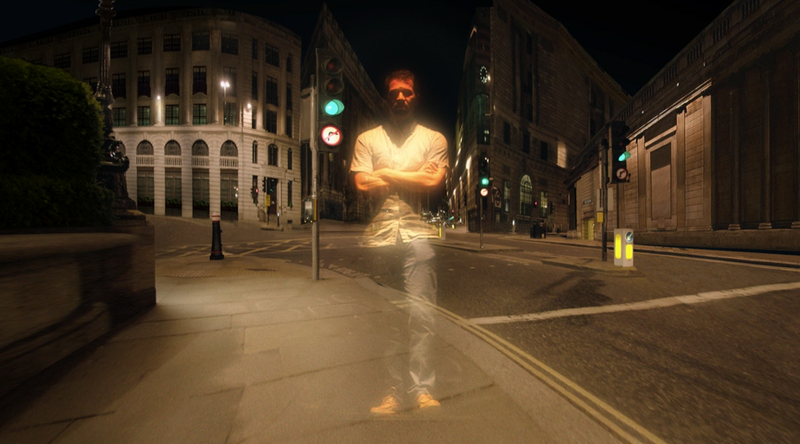 Internationally acclaimed Swiss-American filmmaker Mark Boulos's new commission Echo is a large-scale, immersive video installation which enables viewers to see a ghostly 3D reflection of themselves that moves and speaks as they do in real time in an unfamiliar city. 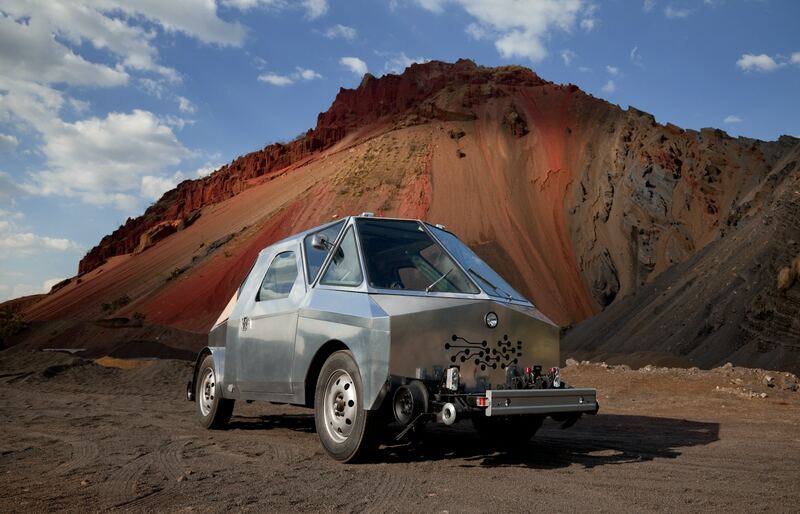 The spectacular SEFT-1 is a road/rail vehicle hybrid created by Mexican sibling artists Iván Puig and Andrés Padilla Domene, known collectively as Los Ferronautas. SEFT, an acronym for the Spanish Sonda de Exploración Ferroviaria Tripulada (Manned Railway Exploration Probe), is designed to hijack railway tracks and cross natural landscapes. It functions as a research device looking for otherworldly pasts and infrastructural histories. Its initial adventures include journeys along the abandoned railways of Mexico and Ecuador.